BABYZEN YOYO+ Parasol 2019 is a handy pushchair accessory that helps to keep your little one protected from the sun, rain, and any other gruelling weather conditions. This parasol easily attaches to any BABYZEN pushchair frame. Why should I choose the BABYZEN YOYO+ Parasol 2019? The BABYZEN YOYO+ Parasol 2019 is specially designed for BABYZEN pushchairs. These parasols come in all BABYZEN shades, offering you the choice to match it with your BABYZEN YOYO+ Newborn Pack or BABYZEN YOYO+ 6+ Colour Pack. This pushchair accessory offers UPF 50+ protection and a greater level of opacity. Plus, they are equipped with adaptors for BABYZEN YOYO+ pushchairs so your munchkin can always be protected. As well as this, you can also attach the BABYZEN YOYO+ Parasol 2019 onto your car seat whilst its on your BABYZEN pushchair. 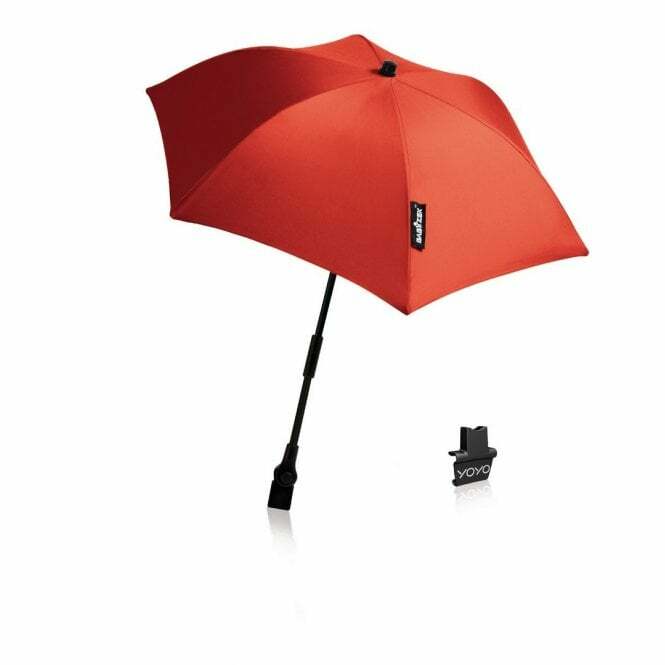 This parasol features reinforced rib seams for sturdier, long lasting travel. Plus, the materials are showerproof - what a catch! What are the specifications of the BABYZEN YOYO+ Parasol 2019?